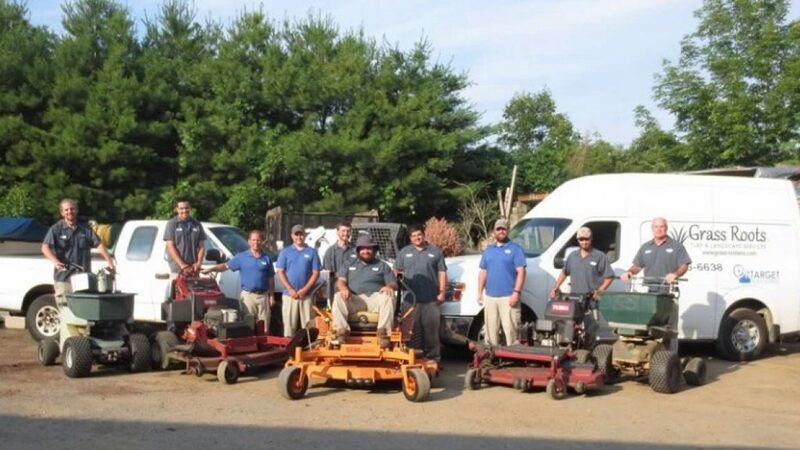 For lawn care and full landscaping services in the Danbury CT area, call Grass Roots Inc. Our company offers year round commercial and residential grounds keeping, yard maintenance and other services. 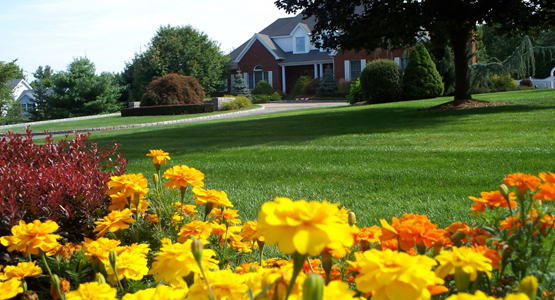 Every season in western Connecticut brings with it the yard cleanups, the mulching, the lawn mowing, the shrub and flowerbed maintenance - the chores a landscaping contractor does with ease. This time of year the grass grows fast, and so do weeds and undesirable vines. Keeping up with the basic seasonal lawn dethatching and feeding, weed control, edging, pruning, hedge trimming and pest control can be a huge job for anyone. Grass Roots has the crew, the equipment, and the expertise to keep your property maintained year round. Call Grass Roots Inc. and leave the chores to the professionals. When you would like to improve the ways in which you use your back yard or patio area, Grass Roots will expertly design the features that will get you out in your yard to entertain year round. Grass Roots Inc offers landscaping with stone, or hardscaping. Bring color, interest and appeal to your front yard, or enhance your patio area with natural stone or pavers. Our professional design team will add beauty to your yard with unique features and treatments that enhance your property and give your yard an upgrade. Our customers spend more time relaxing and entertaining out of doors. You can be assured that Grass Roots will only use quality products on your project. When you are ready to get moving on your property’s landscape needs, give Grass Roots Inc. a call at 203-746-6638.